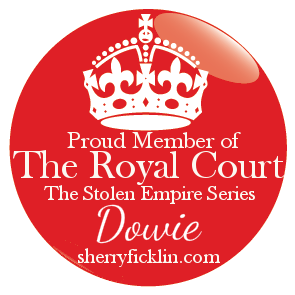 Dowie's Place: "Changeling" by K.R. Wilburn - Blog Tour!! Review, Interview & GIVEAWAY!! 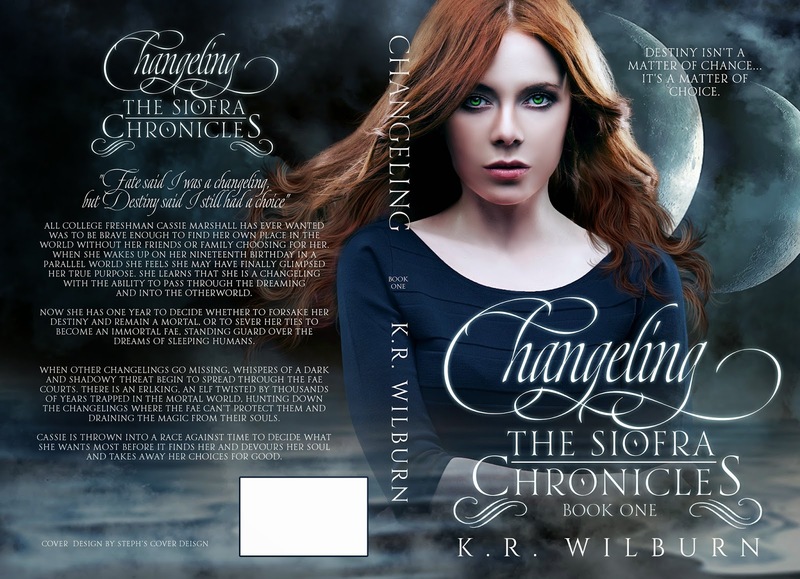 "Changeling" by K.R. 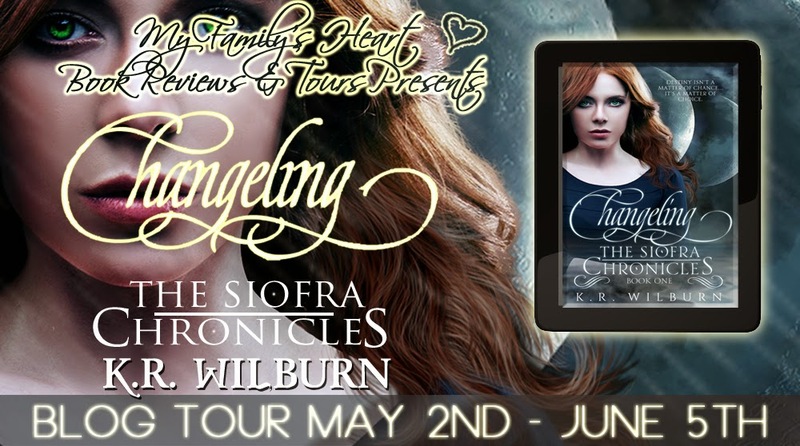 Wilburn - Blog Tour!! Review, Interview & GIVEAWAY!! All college Freshman Cassie Marshall has ever wanted was to be brave enough to find her own place in the world without her friends or family choosing for her. When she wakes up on her nineteenth birthday in a parallel world she feels she may have finally glimpsed her true purpose. She learns that she is a Changeling with the ability to pass through the Dreaming and into the Otherworld. Now she has one year to decide whether to forsake her destiny and remain a mortal, or to sever her ties to become an immortal Fae, standing guard over the dreams of sleeping humans. 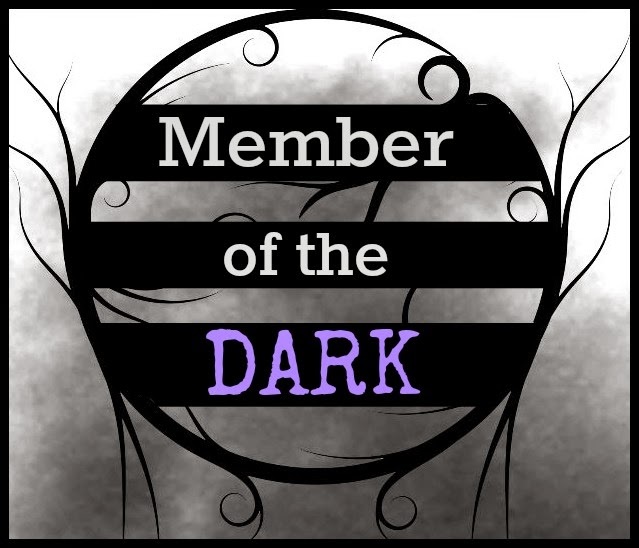 When other changelings go missing, whispers of a dark and shadowy threat begin to spread through the Fae courts. There is an Erlking, an elf twisted by thousands of years trapped in the mortal world, hunting down the changelings where the Fae can’t protect them and draining the magic from their souls. Cassie is thrown into a race against time to decide what she wants most before it finds her and devours her soul and takes away her choices for good. "Cassandra," the strange man called, his voice deep and melodic at the same time. My heart skipped a beat when I heard my name on his lips. "I am so glad you’re finally here." He walked toward me, all grace and easiness, and I had to remind myself to breathe, chiding myself for being nervous about a strange man in a dream. "Do I know you?" I asked as he stopped in front of me and smiled down at me familiarly. I frowned at him. He was taller than I was, my head not quite reaching his chin, and I had to look up at him, resisting the urge to stretch onto my toes to get a better look at his eyes. "Not yet," he admitted, "but I have been waiting for you nonetheless. My name is Aleksander. I am your Caomhnóir." "My what? What’s a kweevrore?" I stumbled over the unfamiliar word, trying to mimic the way it had rolled off his tongue. "Your Caomhnóir. Like a guardian or protector," he said, a ghost of a smile playing at the corners of his mouth from the way I’d tested out the unfamiliar word. "And what is it exactly you think you are guarding me from?” I asked, my eyes glancing suspiciously over the trees as the branches rustled with a breeze. "I am not your guard, Cassandra.” He smirked at me as if the thought of guarding me was somehow amusing. "I am your guardian, your mentor. I am here to guide you during your time here in Otherworld." He spread his arms wide and gestured to the lush landscape surrounding us. I scowled. "Please don't call me Cassandra. Only my grandfather calls me Cassandra. " "What would you like to be called then?" "Call me Cassie," I said. "What is Otherworld?" "All right then, Cassie. It’s hard to describe in mortal terms, but I will try," he said with a grin, reaching out and taking my hand in his. I inhaled sharply when his hand touched mine. My palm tingled strangely, and a strange heat passed briefly between us. I wondered if he had felt it as well. He caught my gaze, his startled green eyes mirroring my own before he looked down at our hands, studying them. I was sure he had felt that sizzle too. I was starting to get curious. I couldn't recall ever actually feeling in my dreams before. Unless you counted my nightmares. Somehow I always felt those as if they were real. Was this a nightmare? When I thought about it, I realized that I shouldn't be able to taste the salt in the air or smell the woodsy aroma of the trees around us. I frowned with confusion. This dream was far too real for my taste, and it was starting to make my head hurt. "The Otherworld is the land of the Fae," Aleksander explained patiently. He tucked my arm under his, turning and leading me down the beach. The waves swept gently up the beach and over my feet, deliciously warm and again bothering me because I knew that I shouldn't be able to feel the warmth. "The Fae? You mean like faeries?” I asked finally, trying not to think too much about how disturbingly real it all was even as I relished the feeling of the warm water and the sand. It had been so long since I had seen the ocean, and strange as this all was, I wasn’t in that dark clearing sniveling and waiting to be killed. "The Fae are...well, for lack of a better term, yes, Faeries. We are what is left of the guardians of the realms of dreams." He must have seen the look of confusion on my face because he patted my hand reassuringly, drawing me closer to his side as he led me across the glittering sand. My breath caught in my throat. Under any other circumstance, strolling down a beautiful beach hand in hand with a gorgeous man would be happy dream. Instead, I was overwhelmed and felt panic starting to build within me. My heart beat rapidly and my breath sped up as if adrenaline were beginning to flow. "Are you seriously trying to tell me that I'm in some kind of alternate dimension here?” I asked, frustrated and confused. “Oh man, I've got to lay off the Supernatural reruns before bed." A different realm of existence? Those cheap grocery store cakes were off the shopping list permanently. All those preservatives had probably fried my brain. Becca was right. It was time to go organic. Science fiction and junk food obviously had dire consequences when combined. "You are a Síofra,” he said, ignoring my outburst. “Sheefra?” I repeated, stumbling over the unfamiliar word. What weird language was he speaking? He stopped and turned to face me so quickly that I walked into him. I could feel his breath on my cheeks as he looked down at me, bringing his hands to my upper arms and holding them gently as if bracing me for something important. "You, Cassandra Matthews, are a changeling." From the very first sentence, we are drawn into a darkness with Cassie and we learn as she learns throughout the book just what is going on. Cassie has to learn the hard way as she goes that she is a Changeling and she has to start making the hard choice to stay mortal, or become full Fae and guard human dreams. It's seriously a trial by fire! I love that through the book you feel the same urgency as Cassie and you grow with her as she learns more and more about her self and her heritage. 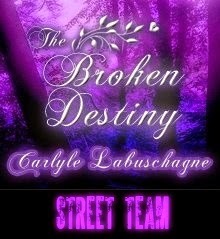 Fantastic story line and very complex and intriguing characters!! Totally suggest everyone reads this book!!! Sure. I’m 32 on the outside but my heart is much younger. I have six great kids who keep me on my toes and let me bounce ideas off of them all the time, and I am married to my best friend. I know that’s something you’re supposed to say but in my case it was true long before our hearts got involved. I’m a US Army Veteran and an Army spouse so I’ve had the chance to live all over the world. I leapt right in and found a home with Crushing Hearts and Black Butterfly Publishing. When I’m not writing I’m usually forcing my children to be the focus of my photography obsession, playing with graphics, indulging my gaming obsession or at the gym. Living in Alaska gives me some really great scenery to use as a backdrop for my pictures, especially in the summertime when everything is green and bursting with life. It makes up for the long harsh winters that we get up here. You can say that I started writing as soon as I knew how to read. I actually finished my first book when I was five if you want to count that. My mom enrolled me in a summer school with different classes. I was supposed to be in an art class, but something happened and I wound up in a creative writing class for kids twice my age. The teacher liked me so she let me stay anyway and developed a passion for reading and writing in me at a young age. My mom still has the story I wrote that summer: A Bear Eats Cake. I never really stopped writing after that. First it was longhand stories filling up notebooks in my room while I was in school. Then when I discovered fanfiction I switched to that for a while, correcting what I saw as bad choices by the writers (Ron and Hermione anyone?). A few years ago I switched back to original fiction with Changeling. Changeling is my first full length novel. All the time. I get horrible writers block because I start analyzing every sentence, every word choice. For a long time I got into the bad habit of starting my writing day by re-reading and editing what I had already written. This led to spending all my time editing and then when it came time for me to switch to writing new stuff, I would just clam up. Deadlines can do that to me too. I love nanowrimo and the infectious attitudes of being surrounded by other authors plugging away at their dreams, but it can be paralyzing for me too if I don’t hit my word count goals. I finally had to create a writing process for myself to reign it back in and find my joy in writing again. I would have to say the scene where Cassie gets her brother to teach her how to throw a few punches. My husband was military when I wrote this book, and when we were younger he was all about teaching me how to defend myself. I feel like every girl should know the basics of self defense so that she can feel empowered. This gave me a chance to share a little of that, and of course to showcase the relationship that Cassie has with her family. I wanted the reader to see how close her family really is so they can empathize with why her choices are so difficult for her. Changeling was pretty self explanatory for me. 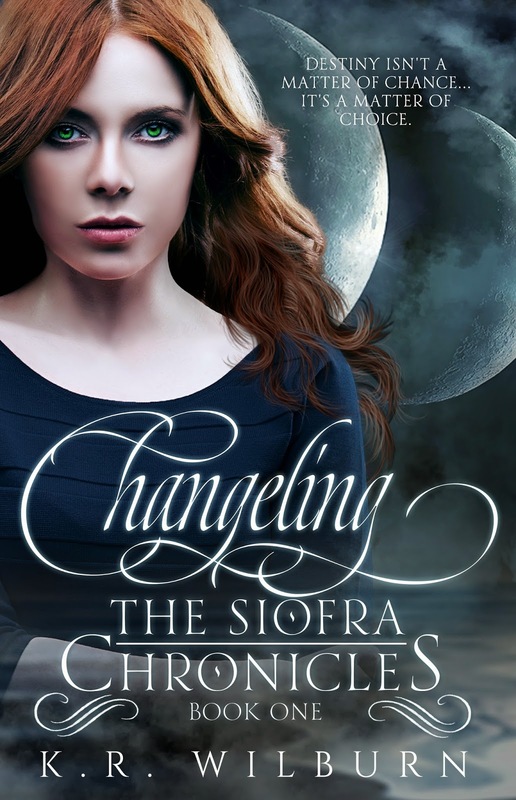 The working title for the book was Otherworld, then when I realized it would need to be a series it switched to the Otherworld Series, and then evolved into Changeling, the Siofra Chronicles. Again, some of them. I have a buddy who encouraged me to write the story when I was pondering it who doesn’t know I wrote him into the book yet. He’ll figure it out pretty quickly though. And of course my bestie knew from the beginning not only was I writing her into the book, what I was doing to her character. She actually encouraged it which I thought was hilarious. And my husband of course knows. All male heroes in my novels are based off of some aspect of my spouse. His sense of honor, his twisted sense of humor, his passion for life. If I write a male hero I have to love them, and if I’m going to love them, it’s usually because I recognize him in the character. That’s tough. I’m pretty new to the game so I haven’t really received any criticism yet, but I know it’s coming. I’m hoping that I don’t cry, but I make no promises. The best compliment was that I have a unique voice. 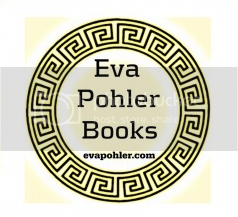 Every author wants to believe that she is unique in her world building and story telling. I’m hoping that my voice can transport people out of their own lives and set them on an adventure with Cassie. 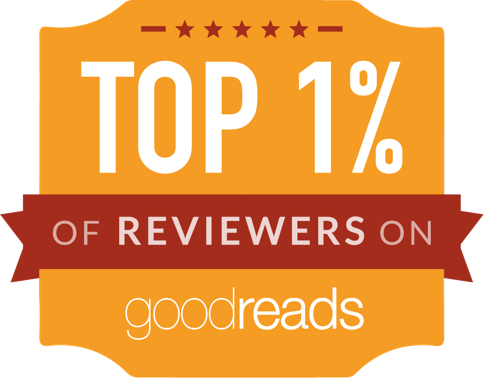 Just the fact that I have readers and fans is mind boggling to me so of course that I’m grateful for them. They honor me with their choice to give over even a few minutes of their lives to the worlds I’ve created. I would also like to say that I hope they feel free to approach me with their thoughts and feelings about it. I’m a fangirl at heart so I want to interact with them as much as they want to. I’m a night owl through and through. That’s probably why the long Alaskan nights never bothered me. SNOW! I can handle cold but I really hate wet. That’s a toughie, I use both. I like my PC for gaming and graphic design and my mac for everything else. BOTH! But if I have to choose one Cats. Night owl. I’m grumpy in the mornings. Thanks so much for being part of the tour. Loved the author interview and great review. Thanks for hosting Changeling and for all the great interview questions. It was fun!